We are very excited to announce our school young sports leaders programme is now up and running. This programme is for use at break times and allows Year 6 children to run planned activity sessions with all year groups throughout the week. A group of Year 6 received some fantastic training from Chris Wright Sports Services on how to be a sports leaders and the attitudes and skills they would need to lead others. They worked very hard on this and also created an equipment wish list. School has ordered many of the items from the wish list and met with the young leaders several times to arrange a break time rota and activity programme that can be used for all children in the school. We will continue to meet up to widen and improve this programme. We are very proud of the children for all their hard work and enthusiasm. In the summer term the Year 5 children will get the opportunity to train as sports leaders too. Swimming has restarted for Key Stage 2 and the children are having a fantastic time working towards their swimming targets. The children will be assessed during their swimming course and top-up swimming sessions will be offered to children that have found swimming challenging. Children will now all have a login for the Fitter Future website. The aim of the website is to help improve fitness levels of childre. Fitter Future is completely free to use from home and we encourage 1 workout a day. Workouts last just 8 minutes (KS1) or 10 minutes (KS2) and can be completed in even the smallest of spaces with no equipment needed. Every time your child completes a workout their class teacher is notified and has the option to print out a personalised certificate as a record of achievement. There are also monthly 'Fitter Family' challenges that encourage adult participation! Your class teacher will have given your child their username and password. If you are unsure of this please either ask your teacher. The class that is the most active will receive the Fitter Future trophy in assembly and the child that is the most active at home that week will receive a certificate. We can't wait to see how you get on with this. We applied to Primary Stars for the opportunity to get free football equipment and kits for the school. We received an email this week to say our application has been successful. Below is some of the equipment that we have won for our school. This will be fantastic for the children and I know many are eager to use it. David Wise is running Tennis club every Wednesday from 3pm-4pm. This is a fantastic opportunity for children to learn new skills and also to prepare for upcoming competitions between the local schools. Please see Miss Burr to book a place in this club. Gymnastics club will be ran on a Monday by Miss Armstrong this term. Miss Armstrong has a lot of experience teaching gymnastics and will also be able to give you details of clubs that you can join if you are interested in continuing the sport. If your child is interested in this club please see Miss Burr to book a place. The children thoroughly enjoyed the Box2bfit session that was ran in school today. 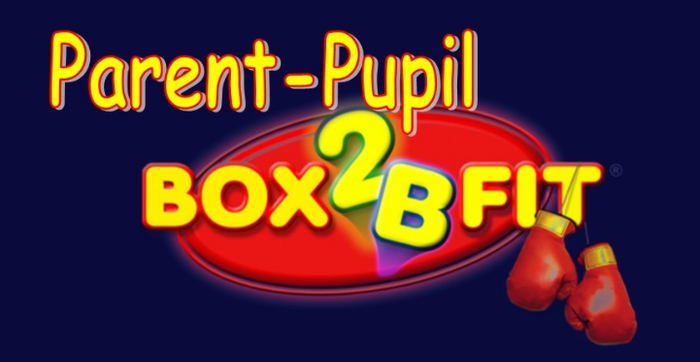 We have made plans for Box2bfit to return to school in the summer term to run a parent and child session. This will be an exciting opportunity to work with your child. Sports club will be ran on a Monday by Miss Ogram this term. This will involve various sports activites and multi-skills. This is open for all ages and abilities. If your child would like to take part in this club please contact Miss Burr. Thank you.